Steven Brockshus, senior studying ag business & entrepreneurial studies at Iowa State. Not every entrepreneurial endeavor is derived from creating something out of nothing, or inventing a product that buyers didn’t even realize they needed. Often, an idea evolves by simply recognizing a problem and being brave enough to go on the journey to find the best solution. Steven Brockshus is the perfect example. Growing up on a 5th generation family dairy farm in Sibley, Iowa — Steven developed a solid agricultural foundation. He rode tractors with his father and had chores that consisted of feeding and milking cattle. Living in the country and helping out with a family business was in his nature. Steven always knew he wanted to pursue a career within the field of agriculture but wanted to do it in his own way. 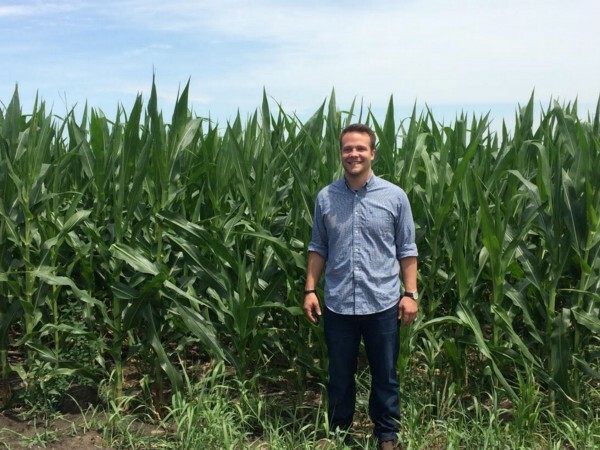 When he saw an opportunity to create a solution for the lack of organization when it comes to buying and selling farmland, he took the leap. In November, he took it to Startup Weekend in Ames and ended up winning 1st place and has since experienced growth and continuous momentum. Terva (terva.co) is an online marketplace for farmland real estate. Anyone interested in buying, selling, or renting farmland can use it’s web application to see a current snapshot of the market. It shows you what is currently for sale and allows you to post your own land to sell or rent. Essentially, it Connects the Right People to the Right Farmland at the Right Time. In a recent interview with Steven, he gave us some insight on his journey, his business, and what’s in store for him down the road. What sparked your idea for Terva? I decided to pursue the idea of a farmland marketplace when I took an ag entrepreneurship class on campus. I found a lot of success during the course and knew I was onto something with Terva. What’s the future of your business? I graduate in May and by that time we will have a fully functioning product to offer for Iowa farmland. From there, I will want to grow it throughout the Midwest. 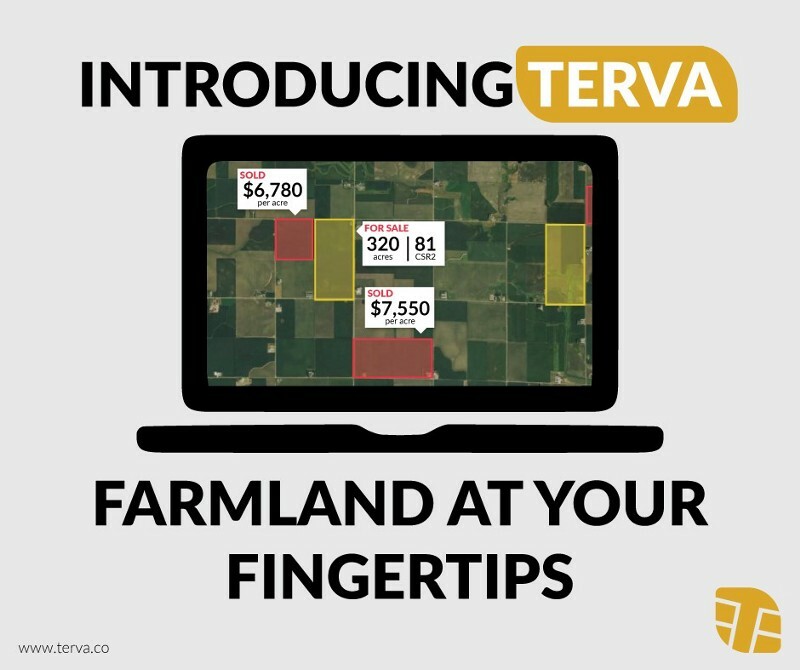 In the long run, I envision Terva as THE platform for connecting buyers, sellers, and brokers of farmland nationwide. Have you experienced any setbacks? Yes. At the beginning, this was just a one-man show which was challenging. I have a large agricultural network but when it comes to technical development or designers, it was difficult to find the right personnel. Now that we have 5 people on board, it makes for a better, more well-rounded team that can get things done easier and more efficiently. What has made you successful so far? Expert advice. Since I don’t have 20 years of experience, I decided to reach out to those who did. Being able to pick the minds of those who have been successful and apply their knowledge to what I am doing has greatly helped us to improve Terva and keep progressing. What has been your favorite part of CYstarters? We’re all in it together and I can’t wait to see where everyone’s business takes them. Did you always see yourself as an entrepreneur? Not always. I never really knew exactly what entrepreneurship entailed but when I started to discover what it was- I came to the realization that I matched the criteria. I’ve always been motivated to start new things and follow nontraditional paths but what truly attracted me to entrepreneurship was incorporating my passions into what I am doing. Finding new avenues to solve problems that have a positive impact on others can even make me, a broke college kid, feel semi-philanthropic. I love being able to change the system and make a difference. Once you think you got something real, ACT like it. Playing the student card will only get you so far, but once you flip the switch and start owning up to your business, you will see so much more growth. Once you allow yourself to be a player in the marketplace, people will respond. To be part of the first users for Terva, email Steven at sabrockshus@gmail.com for your beta access before September 1st!